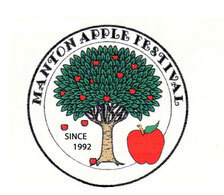 The Manton Apple Festival event is managed by the Manton Apple Festival Committee a Non-Profit Volunteer organization which provides financial support for educational and community service activities for residents of Manton. Contact us at P.O. Box 434, Manton, CA 96059, by phone at (530) 474-1224, or e-mail at mantonapplefestvendors@yahoo.com. If you have any questions not covered here, contact Phyliss Penticoff at (530) 474-1113. The Manton Apple Festival is held at the Manton Elementary/Middle school campus. Use of the facilities is subject to the laws of the State of California and of the school district. Please adhere to the rules as outlined in this Vendor Information and Participation Requirements form. A vendor’s signature on the Application Form indicates that applicants have read and understand all the requirements of participation. Violation of any of the rules may disqualify the Vendor from participation at future events. All craft items for sale must be made by the artist. No Commercial or buy-sell objects are allowed. Booth Space: The Manton Apple Festival provides a 10’x 12’ booth space, marked with chalk. Each booth is numbered, Vendors must keep all merchandise, display tables, signs and canopy legs within the booth chalk marks. Canopy legs must be straight up and down, no slanted legs allowed. Canopy must be secured with stakes or weights to ensure no movement in the event of wind gusts. Vendors will receive one (1) parking pass per booth space. Booth Cost: Booth rental is $60.00. Electricity, (15 amp service) is available for a limited number of booths for an additional $15.00. Vendors may provide their own power with a generator, provided the generator is of the “whisper” quality and does not disturb adjacent booths, (exhaust or noise). Vendors that provide their own power must note on the application what type of fuel will be used (i.e. propane, diesel, wood, solar, etc.). Set Up/Take Down: School will be in session the day before the event. No Vendor will be allowed to set up until after 4:00 p.m. Friday. All vehicles must travel counter-clockwise on the track and no Vendor vehicles will be allowed on the grass field. Merchandise and display equipment must be unloaded and all vehicles off the track by 8:45 a.m. Saturday. Parking Attendants will direct Vendors to the reserved parking area. The day of the event Vendors are not allowed to take down a canopy, move equipment out or bring a vehicle onto the track prior to 4:00 p.m. even if all merchandise has been sold out. Overnight security is NOT provided. Requirements: ARTS and CRAFT WORK VENDORS - All items for sale must be made by the artist. No Commercial or buy-sell objects are allowed. Vendors must provide a resale license number on the application. A list of vendors will be provided to the Board of Equalization prior to the Manton Apple Festival. FOOD VENDORS – Food vendors are required to bring their own garbage cans and plastic garbage bags for their use in the booth. Food Vendors are required to display a current Health permit. Tehama County Health Inspectors may be in attendance at the event, please be prepared to cooperate with the Inspectors. JAM, JELLY, PIES, BAKED GOODS AND PRODUCE VENDORS – A current Cottage Industry Certificate or Certified Producers Permit must be on display in the booth. All items must bear the Vendor’s name and phone number. Tehama County Health Inspectors may be in attendance at the event, please be prepared to cooperate with the Inspectors. Registration: Application Deadline: Third Friday in August. 1. A completed Manton Apple Festival Application; go on-line to www.mantonapple.com for a copy or contact us at (530) 474- 1224 or by e-mail at mantonapplefestvendors@yahoo.com. 2. A check for the number of booth(s) requested, plus electric fee if needed. Checks should be made out to: Manton Apple Festival. Please note that checks may be held for deposit until the end of August. 3. Two (2) photos of your product/food/service. One (1) photo of your booth. We will use these photos to determine the best placement of your booth and the viability of the product for sale. 4. A stamped self-addressed large envelope for the return of photos and your acceptance or rejection letter. The letter will be mailed to you at the end of August. Cancellation/Refund: If a Vendor must cancel participation for any reason and can give notice of cancellation by the third Monday in September (by website or phone) we will make every effort to find a replacement Vendor and provide a refund. If vendor is not able to provide sufficient notice or the Manton Apple Festival is not able to find a replacement Vendor a refund will not be provided. No refunds for bad weather. Issues to Consider: Manton is located at an elevation of 2,000 feet above sea-level, it can be very hot, be prepared and keep hydrated. The Manton Apple Festival is not responsible for loss or damages to merchandise or injuries while at the Festival. First-Aid and safety personnel will be on hand the day of the event. The Manton Apple Festival is held on School grounds. Absolutely NO tobacco, alcohol, firearms, or weapons allowed on the premises or parking lots. NO PETS ALLOWED. Service animals with proper identification allowed, but it can be HOT in Manton in October, so unless it absolutely necessary it is not recommended that you bring any animal. Questions/Comments/Concerns: Contact us via the website at www.mantonapple.com or by phone at (530) 474-1224 – please note that this only a message line, we will return your call as soon as possible. If you have any questions not covered here, contact Phyliss Penticoff at (530) 474-1113. Applications received later than third Friday in August can not be guaranteed consideration. The attached Field Layout is typical of what we have done in the past, but is subject to change as needed.